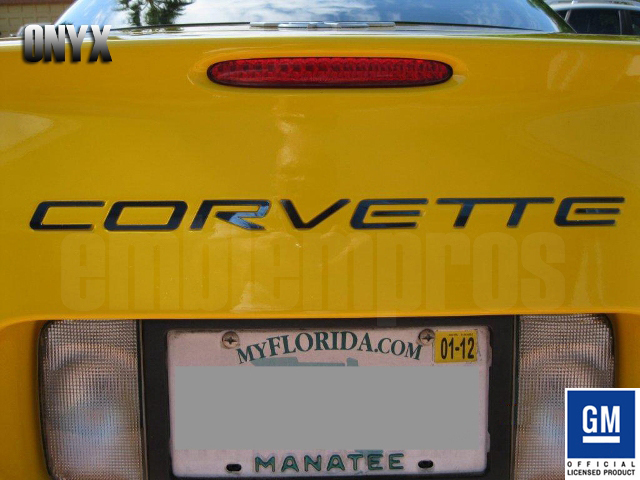 1997 - 2004 C5 CORVETTE REAR BUMPER LETTERS BLACK MIRROR STAINLESS, fits Corvette model years listed. In premium black mirror stainless steel - our ONYX Series. 3M automotive emblem tape is pre-applied to all the letters.